25% more money against a used car! Choosing the best car showroom in Ranchi to sell your old car can be tricky, but we will answer all your questions in this blog. We all have our emotions attached with the first vehicle that we buy. But with the growing age the same used vehicle starts giving dire straits. There are multiple car dealers in Ranchi, which provides the facility of exchanging a used car. Certainly, there has to be a best amongst them. Let’s give out the address of the best car showroom in Ranchi, which has emerged as a popular place for selling used cars in Ranchi. This is where you can easily buy and sell your cars in Ranchi city. Nexa Premsons is the best car showroom in Ranchi, which has been the ALPHA band owner since last two consecutive years. This is also the most awarded Nexa car showroom in Ranchi. From institutional authorities to the healthcare industry, the successful clientele of Nexa Premsons is indeed wide spread. From new car offers in Ranchi to selling used cars, this is the best car showroom in Ranchi which has become the popular choice. 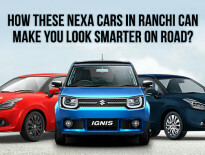 Affordable car showroom in Ranchi: To buy Nexa and Maruti Suzuki cars, Ranchi people only trust Nexa Premsons. This is the only Nexa car showroom in Ranchi where people get cheap and best deals on their favourite automobile brand. This is the only car dealer in Ranchi, where customers are not being judged based on their socio-economic backdrop. Even if they visit and don’t buy, these people maintain a long-term relationship. Best car offers in Ranchi: Even on the arrival of any new car, buyers can obtain a healthy amount of discount on them here as well. No other car dealers in Ranchi can ever provide this much attractive offers on best-selling Nexa cars. This is also an ideal place to get the best price against your used cars in Ranchi. On-time deliverance: Come what it may, Nexa Premsons deliver cars at the time they promise. 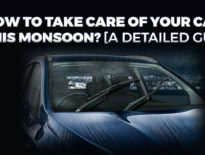 This is another good reason where they mark themselves amongst the top 100 car dealers in Ranchi. It won’t be over stated if we say that you can expect your car to be delivered within just 24 hours. Do you have one used car? Do want a good price against it? Want to sell cars in Ranchi? Visit us now. I Want to Search About..
How Social Media Marketing Can Benefit the Automobile Dealership Business? How these coolest car offers make you the ultimate gainer in this festive season? 2018 Maruti Suzuki Ciaz Facelift: Why it beats the rivals? Copyright © 2015 Premsons Motor Udyog Pvt. Ltd.